To make a flap page, I cut the book page short (in this case, in half vertically), and then mount something to both the front and back of the “flap”. I often put some sort of tab on the flap (as I did here) to make it clear that this is a moving part that one can grab and move. 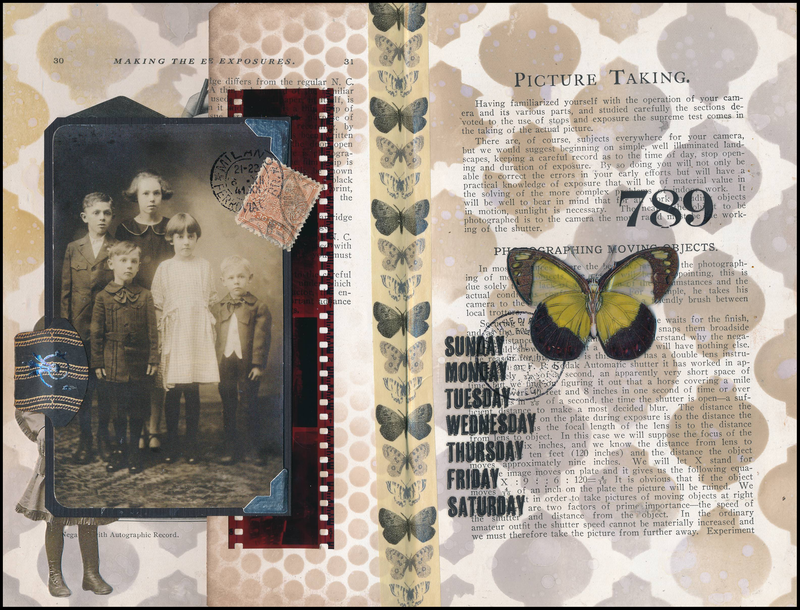 For the left and right “whole” sides of this page, I preserved the vintage photos on the left side, adding Distress Inks through a stencil to tie the two pages together visually. I added a Tim Holtz die cut image to the left side (girl with hat), and some rub-ons and a dimensional butterfly sticker to the right side. The binding was splitting, so I applied washi tape to the base of the flap page, making it more secure. For the flap itself, I rubbed Distress inks through punchinella (sequin waste) with blending tools, and then added a photographic negative strip as a backdrop for the people images I used on the front and back of the flap. I added a vintage postage stamp and rubber stamping to the image on the back of the flap. 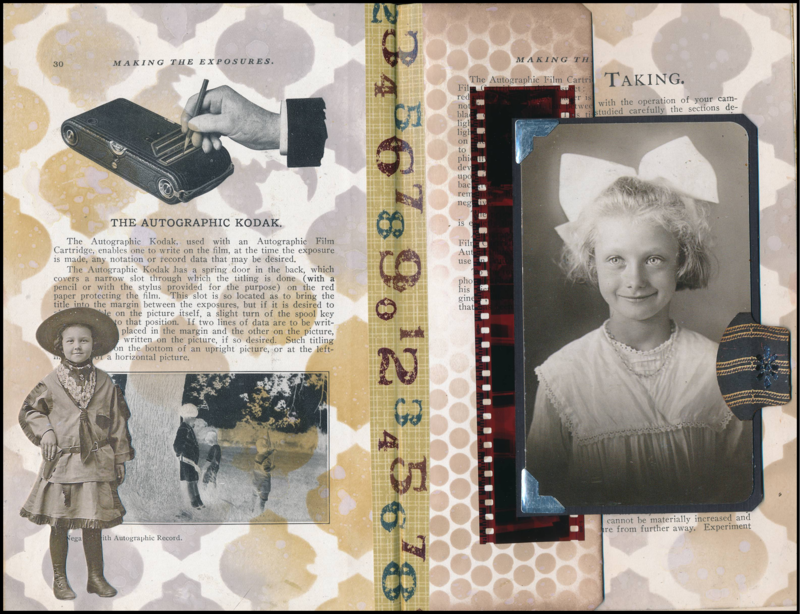 Interactive pages such as this add variety and interest to an art journal page.